This is where you start to get results. It’s a bit of a struggle but with the aid of some good video tutorials, or a step by step practice, or merely by making a ton of mistakes and figuring things out by trial and error, you start to understand it. The information does not come naturally to you, and not a lot of it always makes sense, but you can do it! An example of being in this stage might be researching about app keywords, and stumbling on some information about ASO (App store optimization), finding an article someone wrote about the value of using a website call Sensor Tower (this is a great site by the way). 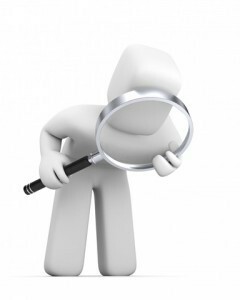 So you visit the site and start playing and manage to put together a set of keywords for your app. At the end of the process you may struggle to remember all the steps you took (darn, I should have documented them) but you managed it. You are now achieving things, it’s just not something you do unconsciously without thinking (that comes with more application and practice). This is where you ultimately want to be. This would be where in the (now overused) example of the keywords, every time you reskin an app you have an exact process to follow to obtain the very best keywords. You have put together a system over time, and because you have a number of apps in the app stores you have been able to see and measure (to some degree) the results of your keywords and have been able to apply this system and see a regular increase in downloads. I say to some degree because app stores generally don’t release “Stats” like which keyword the app downloader used to find your app, so some of this is trial and error. At this stage, your process works! And you know it like the back of your hand. You don’t have to think about it, it just happens. The thing is, most of us go through some or all of these stages when learning anything, and apps won’t be any different. Not all of us will reach the nirvana of stage 4 where everything comes automatically, and frankly in many cases you do not need to get there. For example if my company was reskinning a game for you, then you probably would not need to know about digital certificates since that is something we do for you. Likewise if you hire a developer from a contract website they would often do this for you. In other words, some of this stuff you do not need a stage 4 understanding of. I would actually suggest a lot of it you won’t need to know. The real point about this is, expect this stuff to be confusing and a little overwhelming, at least at first. SPECIAL ANDROID RESKINNING COURSE OFFER! 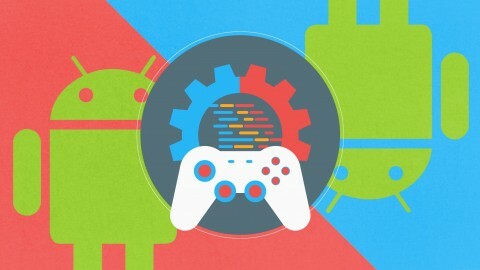 Grab my video course on reskinning an Android game for only $19! Learn how to Reskin, Publish and Upload a Android game all in one course!!! 300 students have signed up for the course and are benefiting greatly from it! So what are you waiting for click the link below to get your special offer! Click here to get the course for only $19! One more example before we move on? Remember that first ever drive you took in the car/ride of that bike, trying to figure out the accelerator, brake, clutch, indicators, mirrors, gears, etc? You may have had no knowledge whatsoever of what was required to drive a car, and figured you might never get comfortable after the first drive. But over time, you got better, with each driving/riding lesson, you gained in confidence and had a smoother journey. Eventually it became second nature. Now you probably answer your phone or send a message, while driving with your knees, in traffic! The point is you obtain a mastery of it through practice. I really want to install into you that the same thing will happen with reskinning apps and the apps industry in general. Buzz words like in app purchases, will become second nature, you will study the TTR in the Apple iAds report and start thinking about how you could improve it. The word retina will mean something to you, and you’ll figure out a bunch of other stuff as well. Keep at it, and keep learning, and amaze yourself with your knowledge in a relatively short period of time.